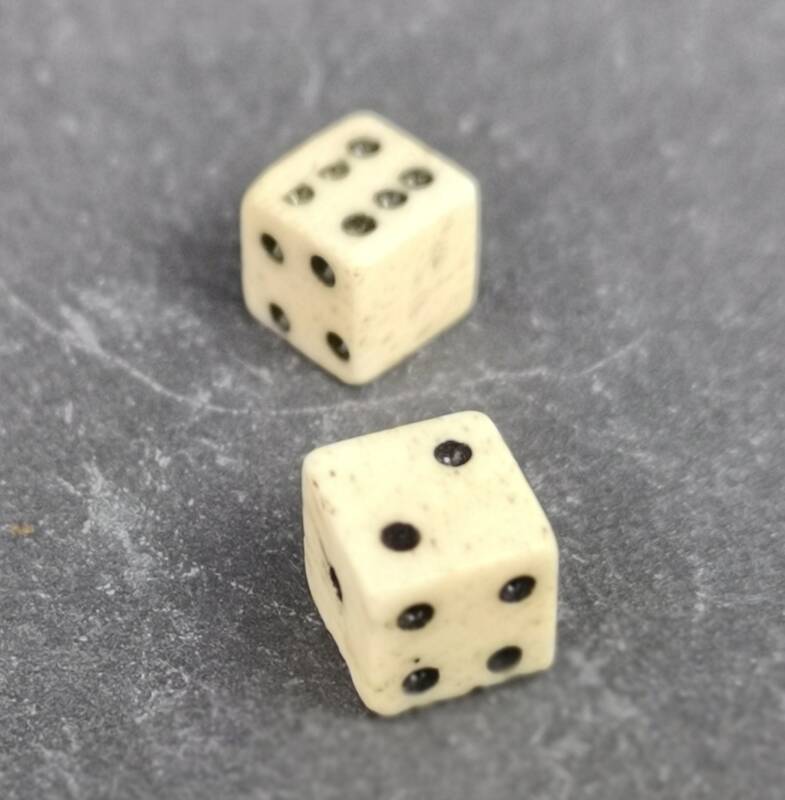 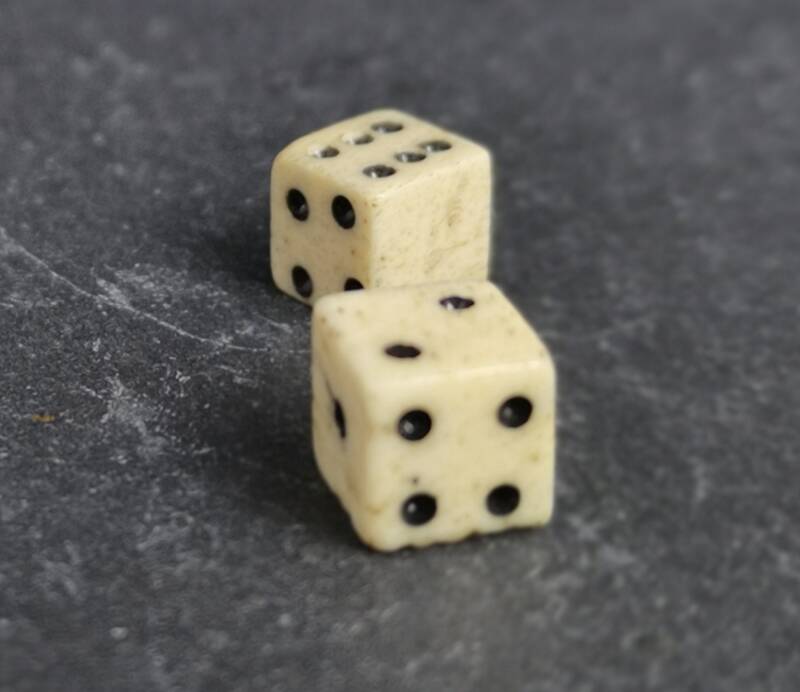 A tiny pair of antique late Georgian era miniature bone dice. 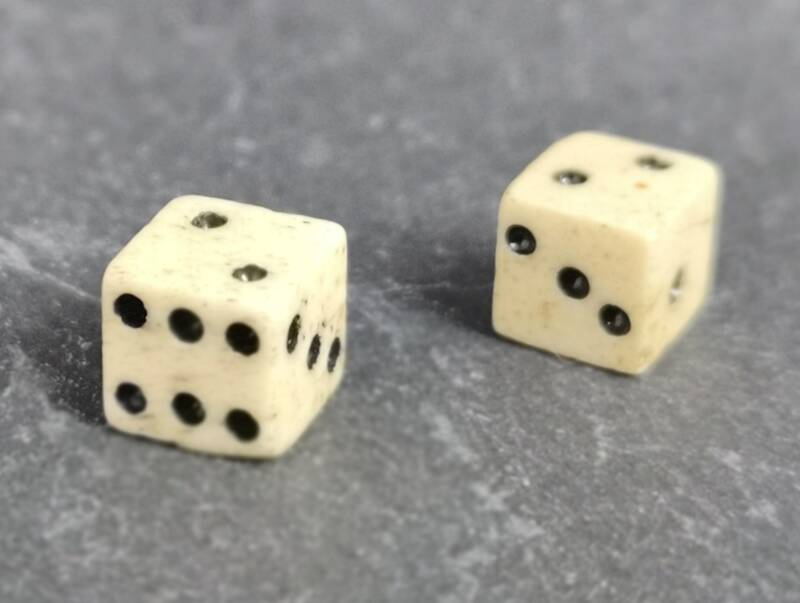 Made from bovine bone, slightly coloured from age with black enamel dots for the numbers, C1810's. 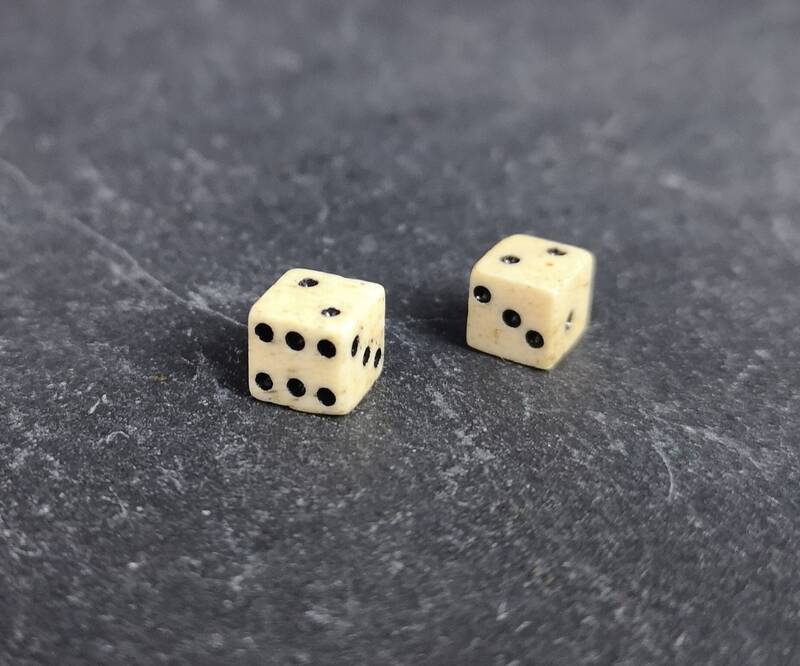 They are very tiny, small nibbles here and there.